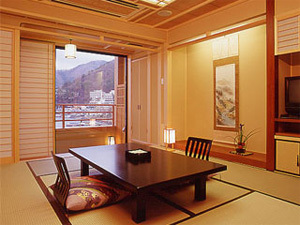 There is a Japanese-style room with an indoor bathroom. 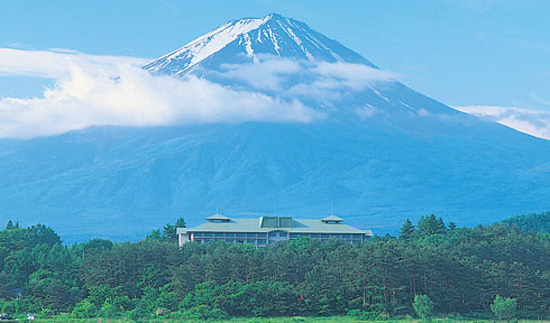 Guests can enjoy the gorgeous view of Mt. Fuji or Lake Kawaguchi. 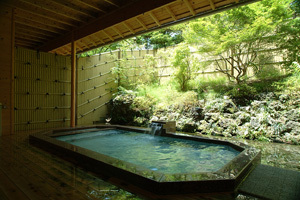 There are large indoor bathroom, open-air bathroom and sauna. 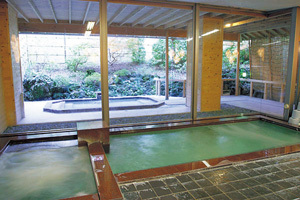 Guests can refresh themselves in the comfortable bathroom after engaging in athletic activities in the hotel property.